Notable People - Cyrenus Wheeler, Jr. He was elected mayor in 1881 and re-elected three times. The Wheeler Bell set atop Memorial City Hall in 1881 was named after him along with the Wheeler Rifle organization. 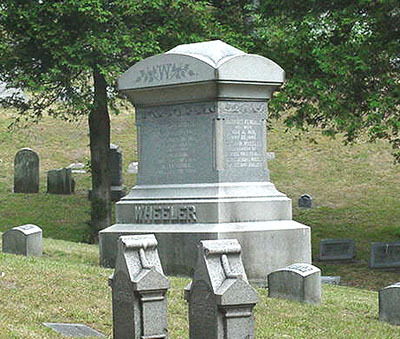 The Wheeler lot is located in the Mount Hope section of the cemetery.